It’s hard to imagine all the planning and dedication that goes into operating a brewery day in and day out. Crafting the perfect batch of brew is a hard enough job as it is. And if you are lucky enough, the brewery grows until you have used up all the space available in the warehouse. The brewery started out as labor of love, and thanks to devotion and thousands of hours of hard work, expansion is a must. Now there’s a problem. Product needs to be moved around the brewery safely, and the area needs to be clean and clear, especially if any tours are coming through. How can a brewery make more efficient use of its space, short of constructing a whole new building? There’s no where to go but up! Our Panel Built Mezzanine system will ensure you maximize the potential of all your space with a second level above your brewery floor. Here you can store more equipment, hold inventory, or turn it into a walking area for guided tours. A mezzanine can turn a somewhat tight situation and turn it into a creative solution. 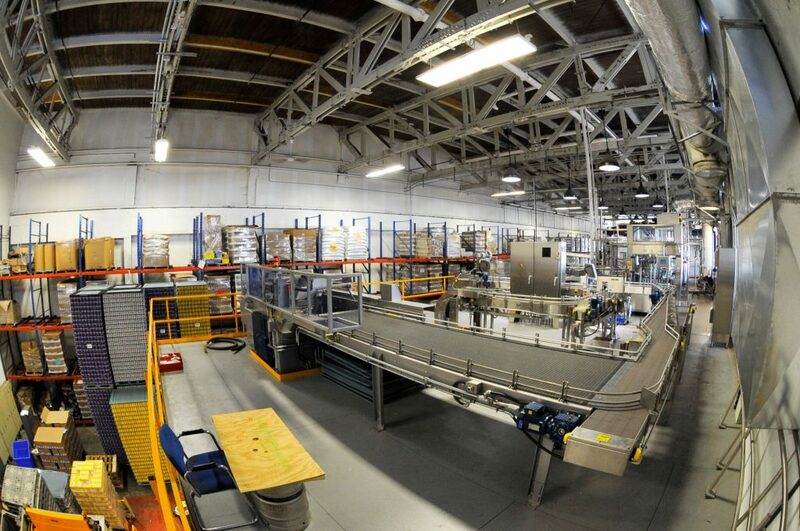 Fully utilizing your work space allows you to get the most out of workers, equipment, and warehouse by taking advantage of space that used to just be overhead. Many breweries are also using mezzanines as viewing sections, allowing customers to look down on production and see how the brewery works. Ultimately, the prospect of installing a mezzanine is in comparison to constructing an expansion to a brewery or building a new one altogether. When comparing the two, there are monetary restraints to consider, and time is always a factor. The cost of our mezzanine structures are a fraction of the capital needed to purchase new property and construct an entirely new brewery, and you will be amazed at the extra floor space mezzanines will provide. Additionally, sometimes business can be hectic, and breweries need to add floor space urgently. We can design, engineer, and install a mezzanine within a four to six week time frame. We understand that time is money, and expanding revenue producing square footage should be done as soon as possible. When looking to add more office space, or perhaps a breakroom, our mezzanine office allows for extra area without taking up equipment or inventory space on the brewery floor. These systems are known for their versatility and quick turnaround time. Modular in-plant offices can be built and installed in 40%-%50 of the time of traditional methods, and a quicker construction time means a faster return on your investment (which everyone loves). When custom height and space is needed, a inplant office and mezzanine will absolutely be your best option. Panel Built would love to have the opportunity to help a new brewery come to life or help an existing brewery reach its full potential.